Social – Emotional Learning (SEL) teaches children life skills for social awareness and self-reflection by teaching skills needed for interpersonal relationships and self management. I have had a mindfulness practice for many years but only recently have introduced mindfulness and yoga in the classroom. The kids seem to take to it naturally. To deepen my own practice and learn the skills needed for successful implementation I am training in mindfulness with Mindful Schools) and have been accepted with a partial scholarship into the Breathe for Change year long program which begins in September 2018. 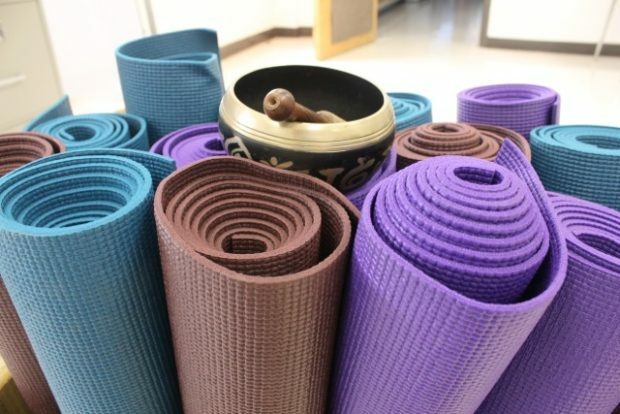 The most important aspect of mindfulness in the classroom is not the teaching of the curriculum to the students but rather to prioritize one’s own personal practice. Mindful teaching helps to continually bring you the present moment and therefore have more awareness of the subtle changes that may be happening in the classroom. In this way, mindfulness is being taught indirectly by how a teacher embodies a calm presence even when relating students (or teachers) whose emotions are activated. Since beginning my training and implementing my own mindful awareness in the classroom I have noticed that subtle shifts within myself spills over into the classroom atmosphere. If I want my students to become quiet it is more effective for the long term to become quiet myself rather than raising my voice so that it can be heard above the noise. Yes students can be “shocked” into being quiet by using the external control method (as Dr William Glasser calls it) but they do not like it and therefore it is a short lived intervention. A trauma-informed teaching practice means recognizing that some behaviors such as anger outbursts, withdrawn or self-injurious behavior may be symptomatic of traumatic stress. Simply disciplining them for acting out is often not only unsuccessful but can be harmful. In understanding how the brain functions under stress a teacher can use and teach mind-body skills and techniques that can help lower activation. Instead of just naming an emotion such as anger, or frustration the corresponding body sensation is identified and described which helps increase emotional awareness. Somatic activities like brain breaks for releasing tension helps all students. 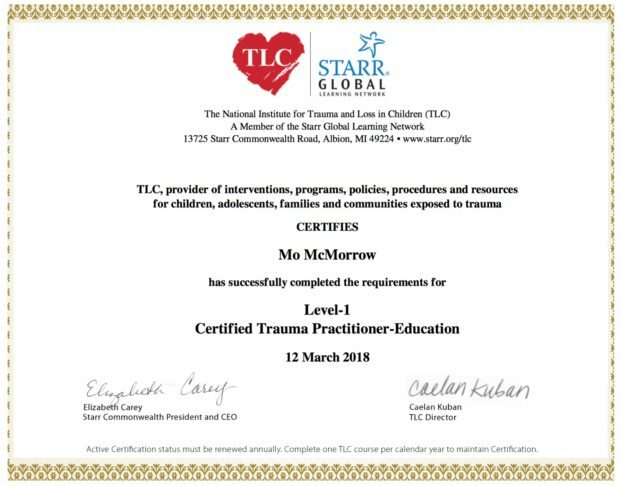 Certified Trauma Practitioner – Education from Starr Commonwealth which includes trainings listed below.